Websites aren’t just webpages where your target audience comes to collect information about your; they are also your greatest sources of information where you gain essential insights about those who visit. We are living in a world where Google Analytics lets you track a user’s movements on each of your webpages and where PPC platforms let you bin on keywords for leads. Amongst all the chaos related to getting impressions and clicks using PPC ads, we often forget the significance of branding. 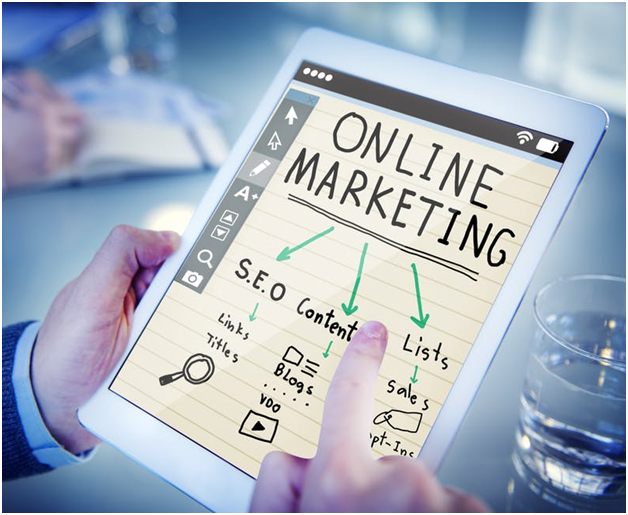 Sure, online marketing allows you to obtain targeted leads from PPC ads but online branding is still as important as branding in traditional marketing. To build an online presence, businesses should implement both organic and paid marketing strategies. Businesses need to invest in building an online presence in order to stand out amongst the thousands of other businesses that are offering the same products and service. Here are some digital marketing tips to boost your online brand presence. In traditional marketing channels, brands were always pushing themselves on to their customers through TV ads, billboards and print ads. Advertisers paid heavily to have their TV spots run during the highest-rated shows that got the most views. But this isn’t true for digital marketing channels. PPC ads do work the same way as traditional marketing channels but organic marketing does not. The goal with organic marketing is to pull customers in using riveting content that adds value. One of the best ways to do this is to establish yourself as an expert in the industry by developing and sharing meaningful content online (social media platforms, website, third-party websites). You can do this by becoming a content authority in your industry and publishing useful content on various online platforms (preferably those that are related to your industry in some way). Content containing essential keywords can also be published on your website in order to improve your search engine rankings and online visibility. Once a user conducts a search, it will generate organic results and exhibit paid ads at the same time. If your competition’s ads are more visible than yours, they will likely get more traffic than you. Investing in online ads is imperative, especially when you’re in a highly competitive industry. PPC platforms like Facebook Ads and Google Adwords allows geographic, demographic and interest-based targeting, meaning businesses can target very specific segments of the market instead of running a wide-spread campaign that isn’t as cost-efficient. There are plenty of niche online platforms that offer comprehensive information related to industries. Such platforms also let guest bloggers submit content containing backlinks. By becoming a guest blogger on such platforms not only are you establishing yourself as an expert in the field, you’re also driving traffic to your website via the hyperlinks you embedded the content you submitted. Search engine rankings always change due to changes in algorithms so make it a point to audit and check your webpages for SEO. Understand you’re competing with thousands of companies to be on the first page of search engines, you can’t afford to have a website that isn’t search engine optimized. Platforms like YouTube and Facebook are giving priority to content that is engaging and stimulates user interaction. They now offer various features that let you to connect and interact with users. Features like Facebook Live can be used for webinars, podcasts and live events. This type of content leads to interactions in real-time allowing brands to build a personalized relationship with their users. Bear in mind that content that has proven to promote conversation will probably ranked higher in news feeds and is therefore more visible. The first thing most people do when they head to work is to check their emails. Email marketing may not consistently be in the spotlight the way social media marketing is but it is important. It is still one of the best ways to reach out to potential customers and generate relevant leads. Unlike PPC ads and mobile marketing, emails are not restricted by space. You can provide as much detail as you want regarding your business and its offerings. You can work on developing emails that keep your audience engaged and on top of their minds. The best part is that it is completely free! People don’t go anywhere without their smartphones. More than half of US citizens check their mails on their smartphones instead of desktops. The same applies to checking social media platforms; it’s just more convenient. We rely on phone apps to place orders, listen to music; update our social media and so much more which is why mobile-marketing is so important for businesses today. Keep in mind that establishing yourself as an authority strengthens the force of all these marketing channels. If users are aware of your brand, they are more likely to go to your webpages and open your emails/SMSs. If you aren’t familiar with digital marketing strategies, it’s best to hire digital marketing experts to build an online presence for you. Makarand Utpat is a renowned digital marketing specialist and business consultant who has cracked the conversion code to unleash long-lasting success. Makarand specializes in helping companies build an online presence by implementing social media marketing and content marketing strategies while supporting them with email marketing and PPC ads. In the course of 5 years, he’s delivered game-changing results for all the organizations he’s worked with, giving them that elusive competitive edge. Hire Makarand to give your conversions and sales a boost or contact him to coach your team on potential digital marketing strategies. Makarand also speaks at corporate events to enlighten audiences about the power of digital marketing and all that it can do for your business. Contact Makarand’s team by calling 1-888-360-4535 for more information on his services.